Back in Chanukah of 5768 we discussed the six foot tall menorah of the Rebbe Reb Aron of Satmar and how I thought it hypocritical, or at least dishonest of a man that follows in the ways of his uncle the Baal Divrei Yoel and VaYoel Moshe to afford himself such luxuries if not for the fact that Chassidus and the Baal Shem Tov allow for it. At that time, many of you - my closest allies included - disagreed with me for different reasons. Some of you said that the whole concept as it pertains to Satmar has nothing to do with Chassidus, it's all cultural. Hungarians like flashy things so they buy themselves and for their Rebbes, but the point here is neither Baal Shem Tov nor Chassidus. That's the one of the great advantages of this blog, you teach and learn at the same, by virtue of the comments that come in from people like you. בא ללמד ונמצא למד. Then, this morning, I open my inbox and I see that our good buddy, Mr. A Simple Jew בכבודו ובעצמו, sent me the link I bring above, where a Yid's wife is on the plane and she sees the Satmar Rebbe, Reb Aron, and his Tallis zekkel and she's totally enthralled. She's a MO Jew from California and she's never seen anything like it, so she calls her husband and tells him all about it. In her own world she sees this zekel as being "Corbusier," as in French designer, and is excited that a Chassidishe Rebbe would ever have something like that. Were it not for the fact that SR was sitting in first class, as all good Rebbes should and do, she would've gone over there and asked him all about it. And he probably would've obliged here by answering all her silly questions, this being Untervegens and all, where Rebbes and more relaxed and approachable. So we see; Rebbes and their seemingly luxurious artifacts can have that positive effect on less-observant Jews. She'll probably go home and be a much better Jew from now on. First, her husband already mentioned that he'd like one too. He obviously doesn't know that Tallis zeklach such as this are reserved for Rebbishe types only, but what he doesn't know can't hurt him. Lots of newly religious or newly Chassidish overstep the so-called boundaries and wear clothing reserved for Rebbes, so this should be no different. Then he'll begin to grow a beard and peyos and be in general more frum and Chassidish, since some well-meaning frummie will ultimately see him and tell that either he gets rid of it or he begins to be more frum. Not wanting to give up his "Corbusier" he'll become more frum. Then his wife will begin to see what he's doing and she'll begin to wonder how she can claim to be married to him when they look so obviously different. Her look definitely doesn't match his, which now includes a shtraymel and vayse zokken, so she'll begin to be more Chassidish and frum too. And it all will be thanks to a Tallis zekel which non-believers like myself thought extravagant and unnecessary. A regular Joe's Tallis bag would never have done the trick. 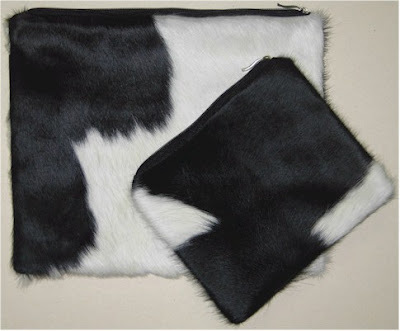 I can tell you this much: The cowhide tefillin bags are ugly. MO people can get expensive zekelach and stuff without getting a shtriemel. You have not been to LA, Teaneck, Rdale or 5 Towns if you think otherwise. Tzig, lucky you. I always thought they were made out of goat skin. I personally find them revolting and totally unoriginal. For my own wedding I didn't ask for any of the usual presents like a Shass or a goldene Zeiger ( I had both already ), but only requested that my kalloh should embroider a tallis-beitel for me, like they used to do in di alte heim. Being an accomplished artist, she made for me the most beautiful tallis-beitel imaginable. Wherever I go, people ask me where they could get one like this. I strongly advise all kallohs to try embroyder one for their chosson. Would or should anybody complain on a beautifull aron hakodesh? 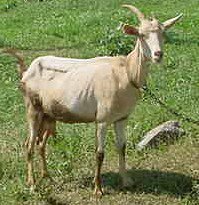 The cowhide thing for tefilin is just because its make of the same stuff of the teffilin inside. In the alte hiem the shochtim and sofrim got themselves a hide for the tefilin and then left a piece for the zekel. Kalb is correct it used to be the honor of women to sew up a talis beitel for the choson. And so was it their chazaka to sew the aron hakodesh paroches etc. I remember a chasidishe shull that had a women embroider a new one every yom tov. they were so different then what is so routine in most shulls. And if you visit a museum you might see a poroches you will see the name of the woman who embroidered it. when will somebody get the guts and embroider a purple paroches are there only 2 colors available? I remember reading an article on the fact that the industrial revolution changed that minhag, and between the 2 WW there were 100's of embroidering women working in factories in the famous town of Sasov producing atoros and talis zeklech etc. Why would a filthy individual like yourself care what tallis beitel the rebbe uses? Your proverbial house is so clean? The rebbe did not get a brand new Caddy every year. He got a new one after the old one was no longer operational. He had the car for many years. I doubt there were factories in the galitzianer town of Sassov. That town had a tradition of producing a special sort of knit which I believe was called Spanier (I may be wrong ) thus they produced atores etc. Next in Lithuania nobody had these fancy things, as Litvishe Yidden neither did the lubavitcher rebbes.The last rebbe wore a simple overcoat a simple kapote , and his menorah was nothing fancy. But I guess in America the eylem needs fancy things as not much else is left. As someone else noted its not only Hassidim , the MO crowd also is very gawdy. I can't believe you visit and guest post to DovBear and still somehow comment on this silly infantile partisan rag-a-blog. This idiot is a poor writer, as close minded as they get and a totally kool-aided junkie for the Lubo-crap. What is wrong with a beautifying a tashmish kedusha? I guess, like you, he likes what I have to offer! Some gedolim, such as the Chasam Sofer, lived bechovodik to enhance the kovod hatora and that is a valid mehalech. The litvishe were too poor to go that way. While the Maharam of Lubavitch (why can't the last rebbe have a name like other Rebbes?) may have lived plainly, I believe that the Rayatz lived a richer life style. Am I correct, schneur. And the Rebbe did get a new cadillac every 2 years and it was donated by someone. Nothing wrong with that. It's kovod hatora. Maharam of Lubavitch? :-) Some ppl use Ramash. mehut eim gdarft freigin, ir zent efsher a shoichet?! This new caddy every 2 yrs is an new one. I spent quite a bit of time at 770 and can promise you it is not true. Moreover, they once brought a new car, and the Rebbe refused to use it, saying sonai matonos yichye. They had to pull out the old one and it stayed that way until the histalkus. Generally, the Heilige Rihzner is considered the first Admur to live in luxury, including white horses for his carriage. The zanzer lived in poverty. This was one of the reasons for his famous dispute with the Rihzner, esp. regarding the latter's dressing his children in Rebbishe clothes. The Zanzer's descendants (Bobov, Satmar, Klausenberg) seemed to have gone the Rihzner way. This may be due to the influence the Rihzner had after he escaped Russia and went to Yaas in Romania. The only Chabad Rebbe who lived in luxury was the Maharash (son of the Tzemach Tzedek). His son, The Rashab eschewed materialism and was known for wearing a kasket on weekdays. The FR had some chernobyl blood thru the Chikaser, and did wear a samit (silk) hat during the week. He did not live a grand lifestyle at all, esp. considering the poverty in Russia in 1920 when the Rashab was nistalek. The Rebbe's wedding in warsaw was paid for by a chassid in EY, without whom the wedding would have been like the rashags, where they benched on beer bec. they couldn't afford the wine. The 3rd daughter's wedding (early 1930's) was also pretty simple. I don't know where people get this idea that the FR lived a grand lifestyle. I heard from oldder chassidim that in the USA, they sometimes hesistated before calling a doctor for the FR due to the poverty during the war years. The Sanzer did not live in poverty, he gave a lot for Tzedaka, but I read in Gilyon Sanz of Israel a long article from some old newspaper that he lived in beautiful marble walled house.It wasn't Ruzhin but definitely no poverty. I'll look for the quote but I recall reading a journal that reprinted letters he wrote regarding a machlokes in ziditchoiv(?). He writes about about the Ruhziner's children wearing rabbisteve silk and he uses stong language against the rabistavas becoming yerushos. He points to the talmidim of the Besht and Maggid who set up the shops, not their children. This fact is well-known and he had major taanos on the Rihzner for "setting" up his children to become admurs. The twist to this is that the bitterest machlokes today in chassidishe circles is in satmar, bobov and klausenberg, all his grandkids, and the machlokes is over which kid gets the pie. I've heard and read that the Sanzer lived in poverty, which would fit with the galicianer life at that time. Your source may be better, and if so, I stand corrected. Please post some maarei makom either way. Thanks! RE Sanzer, he wrote a famous teshuva printed in Divrie Chaim that Rebivesteve is not a estate that you get byerusha vs. Rabunes that you can argue that its your biyerusha. This teshuva his a famous source in all the rebishe turf wars. He worked very hard to get for his sons rabbinical posts.And again all the letters against ruzhin started after the ruzhiner. I once saw that the inyan of the rebbeshe talis baytel is a chashash of shaatnez. 1. The Divre Chaim although earlier a Chasid of the Ruzhiner came out against the luxuries of the Ruzhiner children.This developed into a Chassidic World War . 2. How much money did the Lubavitcher rebbe or the Rashag leave in estate. Lets take the Rashag he left about $1 million. That after 50 years of being the chief fund raiser for the United Lubavitcher yeshiva and delaing with the gvirim of Brazil, South Africa and NYC and having his hand on the control panel. Thats about 20,000 annually. So tell me which other yeshiva director restrained himself thus. The Rebbe himself left under $50,000. Now lets compare that to another chashuve Ungarische rav in Wiliamsburg also childless the Rav of KAY who left at least $14 million in probate . So lets stop talking about the Rebbe's car. Tzig, you must have had a lubavitch revelation as of late. Very positive, possible, and entertaining. you need to stop by more often, then you'll see I'm not so bad after all. Nice to have either way. "Lets take the Rashag he left about $1 million. That after 50 years of being the chief fund raiser for the United Lubavitcher yeshiva and delaing with the gvirim of Brazil, South Africa and NYC and having his hand on the control panel. Thats about 20,000 annually. So tell me which other yeshiva director restrained himself thus." HU?!?! This is $20,000 a year on top of what he spent yearly. And gave his children. the point is that after 50 years of fundraising he had very little for himself. Most other fundraisers had a much nicer nest egg to show. Besides, the RaSHaG was in business for himself, so the 500k was probably the result of those ventures. You don't know me, nor do you know my current level of Yiras Shomayim, nor do you know what my YS would've been had I stayed in Spinka. RIGHT? "This is $20,000 a year on top of what he spent yearly. And gave his children." What children? He had only one son Barry and two granddaughters by adoption.Since he was estranged from Barry and had no shaychus whatsoever with his adoptive granddaughters I doubt very much that he gave anything to them. "RaMaSh did with his money he spent millions to promote his image paid off very well"
Apparently you most have some inside information that no one else is aware of.Can you please enlighten us to how the Rebbe "spent millions to promote his image". "Since he was estranged from Barry"
"the point is that after 50 years of fundraising he had very little for himself. Most other fundraisers had a much nicer nest egg to show." "You don't know me, nor do you know my current level of Yiras Shomayim, nor do you know what my YS would've been had I stayed in Spinka. RIGHT?" Goat *knows* what *other* fundraisers make.How so? Yet this appendage gets angry when someone else *knows* stuff about him.Circular Lubab logic at its best! "What children? He had only one son Barry and two granddaughters by adoption.Since he was estranged from Barry and had no shaychus whatsoever with his adoptive granddaughters I doubt very much that he gave anything to them." We've missed you partisan lies badly. Rasha'g had no shaychus with his son? ?Some kool-aid they give you in Lubab land! The Rashag's personal money was from some shrewd investing he did when he came with the FR to the USA in 1929, right around the time of the crash. He invested well, and this nest egg was worth 1 million at this petirah in 1989. He got a salary from the yeshiva, free housing in 770, but he did not live a grand lifestyle at all. I spent time with him in the later years, and he lived a very frugal lifestyle. I can give you stories of how he appreciated someone saving a buck here and there. "We've missed you partisan lies badly. I can't believe that a senior citizen still talks like a kid in yeshiva"
Your repetitive drivel has become somewhat boring.I never said that he had no shychus with Barry.I used the word "estranged", especially so in the latter years in his life. "That's what you were told, the fact is that he was by the chasana of his adopted GD, and was very close to barry but was forced to hide his relationship with his son"
He may have attended the wedding of his adoptive granddaughter but there was no ongoing relationship with either of them.As to barry the relationship between him and Rashag was at the most tenuous.I know this not because I "was told". I know this because of my relationship to someone who was very close to Bais Rebbe rather then so called "knowledgeable gossip". "The marketing and the promotion of the RaMaSh is an integral part of every related and unrelated chabad entity, especially His secretariat, the bookkeeping will not reflect it, but the actions speak volumes,and more inches is dedicated to promote HIM then the hashems allmighty name ,go count for yourself." Nothing could be further from the truth.I had a personal situation where a mikvah in a certain city in which I resided in,was posul.I was offered a rabbonus shtella there and at a yechidus I asked the Rebbe whether I should accept it.The Rebbe replied on the stipulation that the mikvah is repaired and if it's a question of money he would fund it.The Rebbe then went on to say that under no circumstance should I reveal that he is the source of this funding.It was only after the Rebbes ptirah that I took the liberty to reveal this.I know of many such instances where the Rebbe funded non Lubavitch tzedokah situations both covertly and overtly.Some of the above statements that the Rebbe used millions of dollars to promote himself, is just another libel that the haters have come up with to bash the Rebbe. As is well known his and the Rebbitzens personal lives was one of the highest forms of asceticism. I am a Fundie. This is my narural habitat. I go to Beary to stir up trouble and be contrarian. how much cost the "Corbusier" ? although the divrei chaim revered and quoted the ruzhiner i don't think he was ever his 'chosid'. the sanzer was a ropschitzer chosid, first by r' naftali zvi and later by r' usher'l. now, someone please comment of his shoes. whats next? you guys have nothing better to discuss. talk about his גאונות which is a חידוש talk about normal stuff. I have stayed for a short time in Florence but witnessed the most amazing behaviour in the Jewish community there. The official Rabbi is a gentleman and scholar, but he practices a gentle and non-aggressive approach to a very middle of the road yiddishkeit. He is a good, helpful person who relates well on a one to one basis with the local Jewish population. They are VERY far from actuallly practicing anything approaching Orthodoxy and he has, unfortunatly little effect on them--I was there during selochos and we could not get a minion AT ALL!!!! Part of the problem is Chabad. They behave like animals, shouting abuse, schleping tourists out of the Kosher cafe telling them that it is tref--I witnessed this on 2 occassions and posting abusive notices on the windows of the cafe which is the building where the Rov lives. They make no effort to help the community in a costrutive way to which they can relate. Also the local Chabadnicks were dirty and slovenly in apperance, very off putting. While I feel a greater effort should be made by the local Rabbi, there is not a lot he can do in the present circumstances, but they would certainly be better off sans Chabad! i'm anon 8:56 and thanks for setting the record straight re the Tzanzer and Rhizin. It is generally accepted that the Tzanzer considered the Roshpitzer to be his Rebbe. He may have gone to the Rhizner, but his Rebbe and mentor is R' Nafotli Roshpitzer, a talmid of the Chozeh. I think that the Sanzer Rov was for a short period in Lublin too. Skimt mich tzim lachen because I read the original blog where the author writes about this. Ingantzen nisht vi di meints. His name is Robert J. Avrech. He's a hollywood producer who lost a son and writes a blog you might enjoy reading. 6 weeks late you tell me this? I know about Avrech and his blog and his books about Indians and Jewish girls. Hey, I followed a link to your website, found it interesting, and starting going through the whole thing including archives. Is it all about the peyos? It's Not About Whom They Defeated!!! !